Over the years Google has made concerted efforts to continually update their algorithms as a way to improve the relevance of search engine results. From Google’s perspective, this makes a lot of sense. Their success as the #1 used search engine relies on users feeling like the search terms they use provide them with the results they were looking for. In recent years, Google has put a lot of effort into ridding their results of websites that engaged in spammy SEO tactics like keyword stuffing and building low-quality links in very large quantities. Back at the end of February/early March, SEO professionals everywhere noticed a change in the search engine rankings and speculated that Google had made another algorithm update. The “Fred” update, as it’s come to be called, was initially left unconfirmed until Gary Illyes confirmed on March 24th via Twitter that an update did occur. What did the update affect? The goal of the Fred update was to remove websites with irrelevant and outdated content. The update continues to prioritize high quality content written for people to read, not content written to simply take advantage of known search algorithm preferences. According to Search Engine Land, who examined 100 URLs which claimed to be affected by this update, the websites seemed to be “low-value content sites that put revenue above helping their users”. Websites with outdated, poorly written, or spammy content have been negatively impacted by the Fred Update. Google penalizes content that has been automatically generated or that’s not original. If your company sells products and uses vendor-supplied product descriptions on your website, this content isn’t considered original and could hurt your rankings. You need fresh product descriptions that are unique to your company’s website. Even if it’s easier to use the vendor’s product descriptions, it’s worth creating your own for SEO purposes. If your company buys low quality blog posts from a content mill, this content would be rated badly because of its quality. Also, some users reported that websites that featured third party advertising on them were negatively impacted. So blogs that are supported financially through affiliate links, even those to Amazon, may face challenges. Lastly, websites with old and outdated content were hit especially hard by the new Google algorithm update. These include websites that don’t have blogs to regularly update. Instead of a weekly blog post to update the website’s relevance and provide fresh content for visitors, the content stayed the same. The new algorithm rates this content as outdated and less relevant to their user’s search results. If your website’s SEO rankings were negatively impacted by the Fred Update, it’s important to take the necessary steps to improve your website’s content to better align with the changes. Since the Fred Update primarily targeted low quality content, the first step any business should take is to improve the quality of their website’s written content. While some complained about the negative effects of the Fred update, other sites saw their rankings increase. These websites already prioritized high quality content and are now coming up higher in search rankings because of it. Since Google prioritizes frequently updated websites, websites with regularly updated blogs also benefited. We recommend making sure that each page on your site has a minimum of 500 words of relevant, high-quality content. If you offer multiple types products or services, each one should have its own page with content focused on marketing that specific product or service. This ensures that the content is targeted and highly relevant. For example, if you’re a yoga studio that offers both weekly classes and retreats, you’d want two separate pages for each offering. That way if someone is searching for “yoga classes near me” they don’t end up getting a link to a page talking about a week long yoga retreat in Mexico. This wouldn’t be relevant, and likely would be ranked lower in the search results. Plus, it won’t help you generate a new customer. Websites with clean, natural link profiles also benefited positively with higher search rankings. 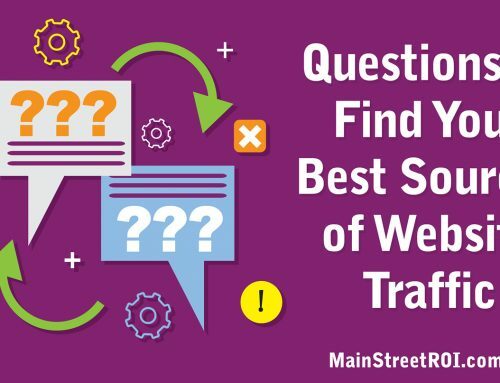 That’s why it’s important to ensure that you’re building links from high quality websites and directories, and avoid building links from spammy websites or engaging in artificial link-building schemes.